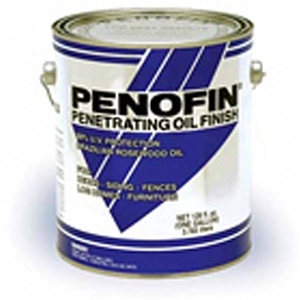 The "work horse" of the Penofin product line. 90% ultraviolet protection from transoxide pigments virtually eliminates fading due to sunlight. Brazilian Rosewood Oil that deeply penetrates to protect against moisture. Ten transparent tones. Penofin exterior finishes were formulated to safeguard the natural beauty of wood and to prevent discoloration from the sun's ultraviolet rays. Penofin resists and retards bleeding caused by nails.